Ananda’s presence in Europe began in 1983 with the establishment of its first center near Lake Como, Italy. In 1986 it transferred to Assisi, and on 5 May, 1987 it opened its permanent center outside of Assisi, in the Umbrian hills. About 100 adults and children comprise the greater Ananda community, which includes a guest retreat, a family school, organic farms, and various spiritual businesses. The guest facility (known as “Ananda Association”) has been serving thousands of spiritual seekers every year for the past 30 years. 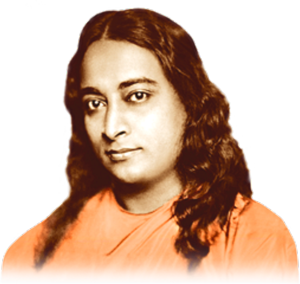 In addition to a wide variety of programs in practical spirituality, it also offers training programs through the Yogananda Academy of Europe, which includes the Schools of Ananda Yoga, Ananda Raja Yoga, and Ananda Life Therapy for self-healing. The purpose of Ananda Sangha Europa is rather different from the guest facility: it is to offer you spiritual friendship and support throughout the year, wherever you are, especially through live internet broadcasts and recorded programs, as well as programs and retreats in your area, and direct contact with Ananda teachers and ministers. As you see in the “Inspiration”section of this website, Sangha offers free writings, videos and audios to help you keep your inspiration level always high. “Ananda Sangha for Self-realization” is recognized by the laws of Italy as an “ente morale,” or religious association, with the rights and privileges of all religious associations to espouse and communicate its ideals. It is entirely supported by the donations of its members. The By-Laws, in expected legal language, are available if you wish to read them. And beyond all laws and regulations, Ananda Europa is a joyful spiritual family, members of which live in cities and towns around the continent. Spiritual friendship and support have no bounds or boundaries: we are united in our journey to Self-realization. You will find a detailed list of Sangha Support services in the next section.